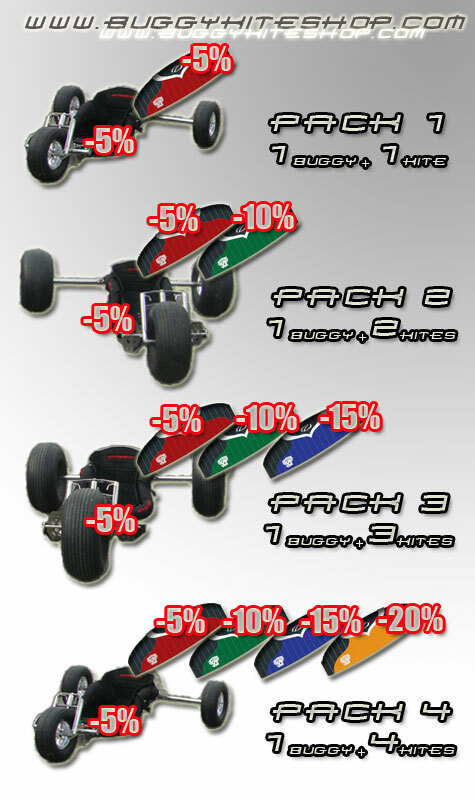 Buggy kite pack, special offer, and promotion, from 5% to 20% Discount on our Packs. With retroactive effect, buy your futures Kites at anytime you want, the offer is still “ON” after purchasing the buggy. *The present Offer is suitable over our full range of Kites, within a period of time of 2 years from the purchase date of the buggy.